By Allison Owen It's almost that time of year again. Marching band is reaching its end, it's getting cold outside, staff announcements are being made, a few show concepts are being announced, and a new and exciting season of drum corps is just around the corner. I remember two years ago at this time I was so unbelievably nervous about my first corps audition. I had no idea what to expect. Looking back, I was so inexperienced and totally unprepared. I practiced and did everything I knew how to do to prepare for my audition, but when it came down to it I didn't know enough to handle the experience of a top-12 Division I corps yet. 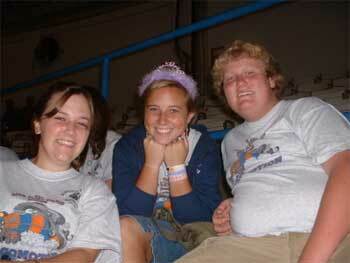 Allison Owen (center) and friends.